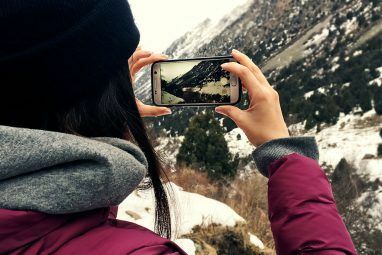 Recently, Google announced that it has integrated Google Lens into Google Photos for all Android devices. This was once a unique feature for owners of Google Pixel devices, but now it’s available for all Android phones. If you’ve never had the chance to use Google Lens, it’s a super useful app that integrates a little bit of augmented reality with intelligent, automated web search. 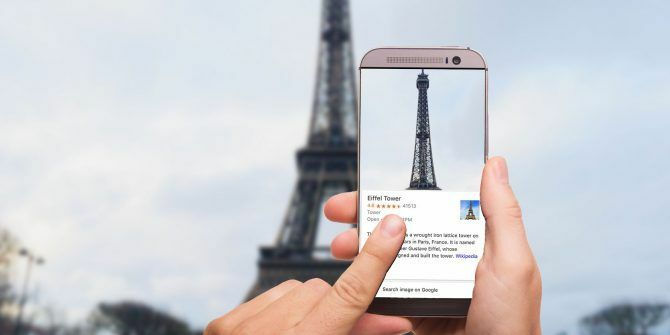 Google Lens brings a lot of power to your fingertips whether you run it on photos you’ve just taken, or photos that are already in your Google Photos library. Let’s take a closer look at some of the impressive tricks you can do with Google Lens. With Google Lens integrated into the Google Photos app, you’re now able to perform automated internet research about everything you see and experience in your daily life. You can research famous locations, plants, foods, and so much more. Now, when someone asks you if you know what something is, all you have to do is take a snapshot and you’ve got the answer on hand in moments. You can use this feature by tapping the Google Lens icon on any picture you’ve uploaded to your Google Photos account. That simple little icon is deceptively simple. Yet behind it, there’s an entire library of really cool ways to extract and collect a world of information about the objects in your photos. Imagine you’re walking through a parking lot, and you spot your dream car. It’s everything you ever wanted in a vehicle, and you need to get one. With Google Lens, you can take a snapshot of that vehicle and tap the Lens icon to research the internet for the nearest dealership that carries it. The app also has the ability to recognize any text on the vehicle, which can help with that research as well. This feature works for anything you spot. Maybe your friend has a cool pair of shoes and you’d like to find a store near you that carries them. Or perhaps you’ve spotted an unusual item at a yard sale or auction and you want to identify it. Google Lens connects your photos of any object with the unlimited power of the internet to tell you everything you could want to know about that item. Researching brand information is really fun. It’s surprising some of the wild products brands have made You Won't Believe Some of the Odd Products Popular Brands Made You Won't Believe Some of the Odd Products Popular Brands Made What happens when brands step out of their comfort zone and try to make something a little bit different? Read More . In addition to identifying the brand of objects so you can buy them, Google Lens can also find related items to objects or text in the photo. For example, if you run Google Lens on a picture with a quote, it’ll provide you with related products you can buy featuring that quote on them. 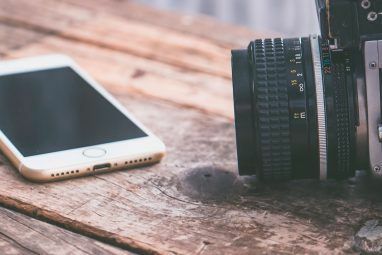 You could also take pictures of products in any store, and have Google Lens search for a listing of similar products and stores that sell them. Price comparison shopping can’t get any easier. Many times when you run Google Lens on one of your photos, it’s a complete surprise what you discover. That’s half the fun! Save money by using this feature to shop around online The MakeUseOf Online Shopping Guide The MakeUseOf Online Shopping Guide Learn how to hunt sales and use the latest websites and tools to do online shopping the right way. Read More for the best deals. One of the most useful tasks Google Lens can do, especially when you’re traveling, is helping you identify plants, buildings, and more that you’ve never seen before. You might be walking through a city gardens and spot an unusual plant that you want to identify. Google Lens can help. It’ll use Google to identify the most likely plant species that match the one in your photo. The same is true for buildings and other landmarks. It will identify that building and provide you with everything you could want to know about it. Google Lens is a great tour guide as you’re walking through a city or any other location when you’re traveling. The coolest feature of Google Lens is text recognition. You can take a picture of any document, and the app will recognize any text in the photo and covert it to actual text inside the app. You can highlight any of the captured text and conduct a web search on it, share the text to any other app on your phone, or copy it to your clipboard to paste in an email or anywhere else. It’s one of the fastest and easiest ways to quickly capture information from any document Scan Documents on Your Phone with CamScanner for Android Scan Documents on Your Phone with CamScanner for Android You can use this handy app to scan any document straight from your phone. Read More . Google Lens can work its magic on any photo you’ve captured that includes an address or a phone number. Usually this would be a business card, but it works with any other document too. Google Lens will still conduct the usual web search about the location at that address. Additionally, if it identifies that the text in the photo is an address or a phone number, it’ll provide you with a link to that location in Google Maps, and a link to call the number with your phone, if you wish. Of course, you could always just copy the address and phone number and add it your contacts list. Another great use for Google Lens is something that’ll appeal to foodies. You can take photos of any dish or drink and Google Lens will try to identify the dish. In some cases it’ll even give you a link to purchase it online. If you tap any of the food matches from the web, sometimes you can access a recipe for that food as well. You probably wouldn’t use this feature when you’re eating someplace like McDonald’s. But if you’re traveling and come across a new ethnic dish you’ve never had before, Google Lens can help you identify it. At the very least, it’ll help you avoid accidentally eating anything that you know you’d never willingly choose to eat. It’s difficult to cover all the possible uses for Google Lens because it’s really only limited by your imagination. Connecting your photos with the virtually unlimited library of information on the internet offers an endless number of possibilities. Photograph and translate signs using Google Translate when you’re traveling abroad. Take a photo of any book and pull up reviews for it from the web. Photograph a painting or statue in a museum and learn more about it. Take a picture of a poem or prose anywhere you find it and use Google to identify the author. It really is an exciting feature for Android users now that Google Lens is integrated into Google Photos. It’ll be just as exciting for iPhone users once Google rolls out this change to iOS users as well! Google Lens is only one of the fun ways you can use Google Photos, but there are many others. 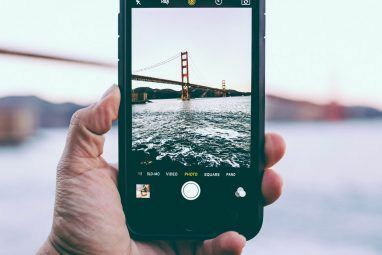 Make sure to check out our list of hidden Google Photos features 12 Amazing Google Photos Features You Didn't Know About 12 Amazing Google Photos Features You Didn't Know About Google Photos is a well-known service, but it holds many little tricks. Here are 12 great features of Photos you might have missed. Read More to use the service to its fullest potential! Explore more about: Google Photos, Google Search, Smartphone Photography.